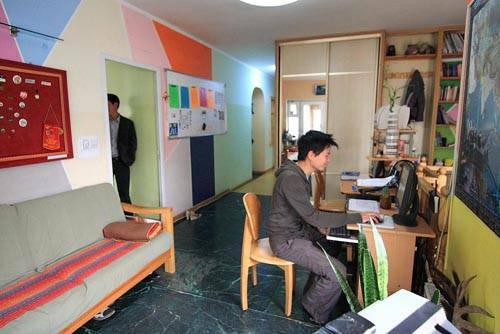 We are the first youth hostel in Mongolia located in the center of Ulaanbaatar, just a 10 minute walk from the city center and from the train station. The guesthouse has been recently renovated and clean with excellent facilities. We offer to our guests a comfortable, clean, and exciting environment to enjoy their holidays. We have had such a great response from guests staying in our guesthouse. 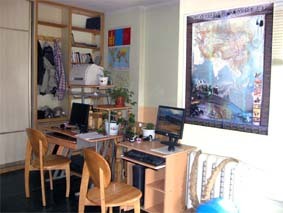 Come and join the fun in our guesthouse when you are in Ulaanbaatar. 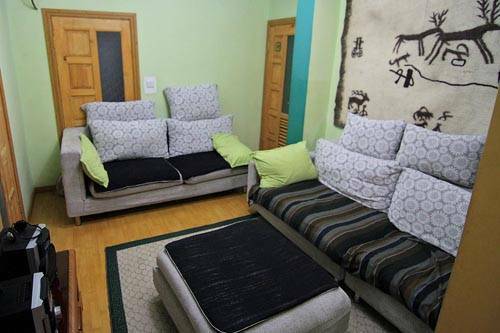 So come and visit us at our guesthouse when you are in Ulaanbaatar and start your enjoyable and unforgettable trip to countryside in Mongolia. The Idre's guesthouse located near by new over pass and opposite to "Topaz" hotel. American restaurant which available breakfast, lunch and dinner. No fees for the cancelation. Once outside the train (facing north toward a small park/garden,) walk north across both sides of Teeverchdyn street. You will then walk east on Teeverchdyn for about 700 meters until you see Zanabazaryn street. You then turn left, and walk straight ahead about 50 meters and then you can see Idre's Guesthouse sign on your left side.